Each engagement ring is custom made to order and can be modified to fit different metal colors, carat weights, diamond cuts and qualities. 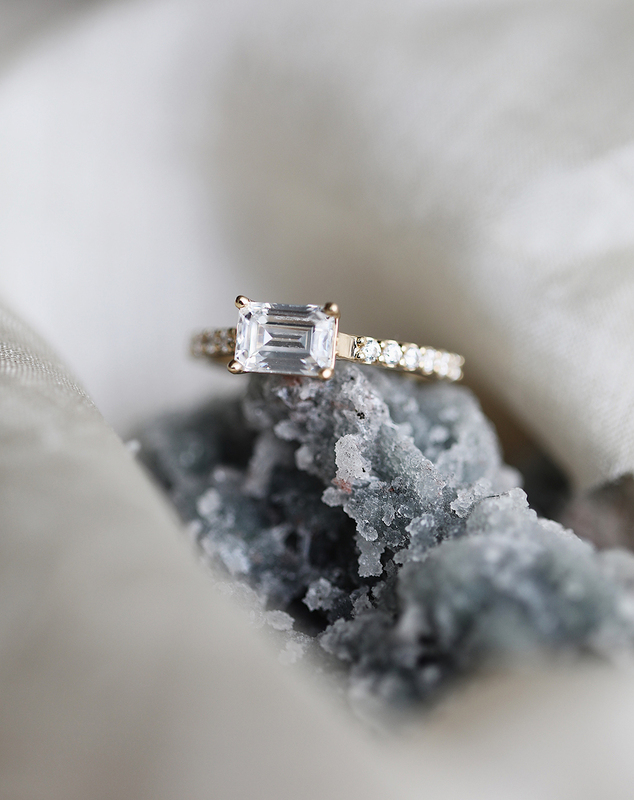 This image features a 1 carat emerald cut center stone set in 14k yellow gold. 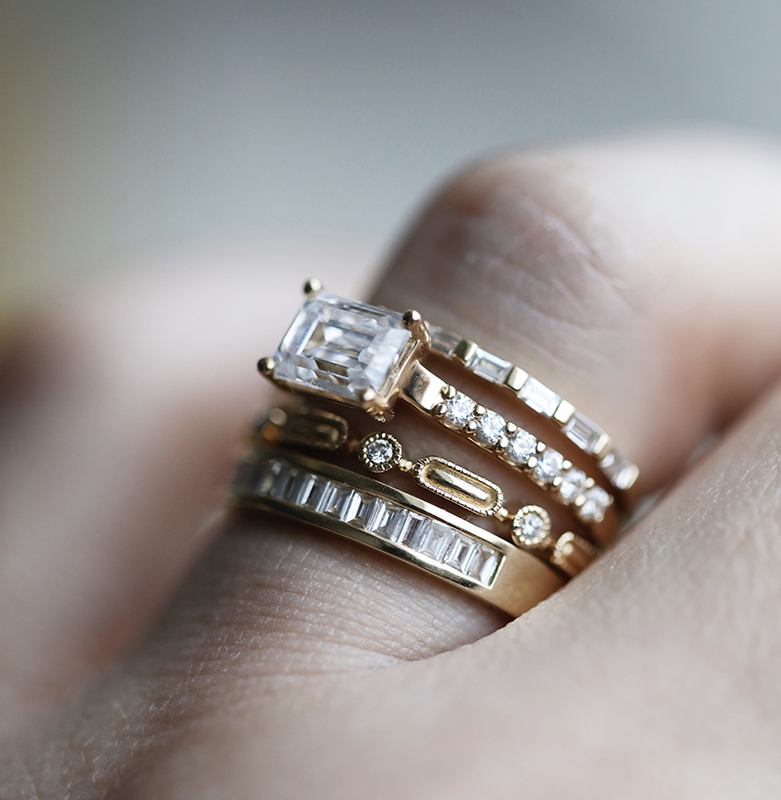 Available in yellow gold, rose gold, white gold and platinum. This ring starts at $3,893 for approximately a 0.50ct emerald cut center stone with I color, SI clarity and excellent to very good cut grade based on the GIA grading scale. Consider Bridal is Consider the Wldflwrs’ signature jewelry line designed by Emily Eggebrecht. Handcrafted at our jewelry studio located in our Nashville storefront, Consider Bridal’s focus is heirloom quality jewelry made with excellence, extreme care and attention to detail. From first sketch to final touches, each design effortlessly complements your style, is easy to wear and is a little unexpected. Building upon Consider the Wldflwrs' brand mission to provide something unique in the jewelry industry, Consider Bridal provides an alternative to a traditional fine jewelry purchase with fresh designs, while maintaining the trust and quality you would expect from your personal jeweler. Consider simplicity. Consider excellence. Consider it yours.